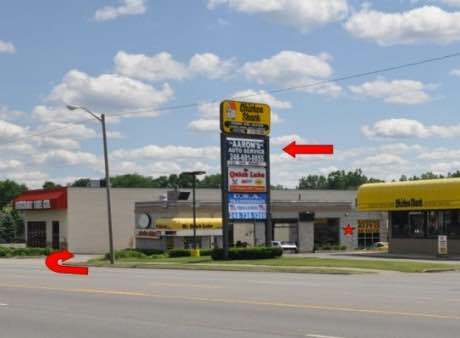 We are located at 4337 Highland Road (M-59) in Waterford, southeast of Pontiac Lake Road, behind the Mr. Quick Lube Oil Change. We are open Monday – Friday: 8:00 am – 6:00 pm, and we are closed Saturday and Sunday. 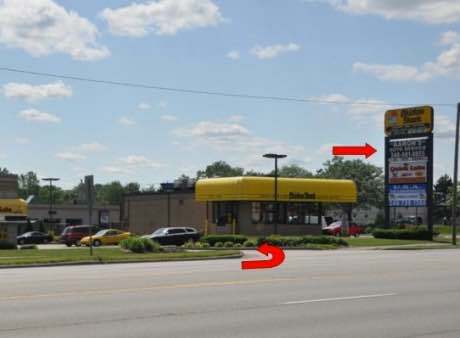 Note: The “Back Entrance” to our building is off of the street that runs between the Chicken Shack and Bob Evans. This is a view of Highland Rd. (M-59) southeast of Pontiac Lake Rd. Our shop is on the right hand side of the road. Turn "right" at the "RED ARROW" shown in the photo. This is a view of Highland Rd. (M-59) heading northwest. Meijers is on the right hand side of the road. Turn "left" at the "RED ARROW" shown in the photo.